It was scheduled to be a busy day for me. Part 1 was off to Kyudo. It had been several days since I had practiced. I wanted to give my shoulder a break after the treatment. It have been feeling better. So today was the real test. I made sure I warmed up well and even put on a some Tiger Balm for added measure. I made sure my draw was the method directed to me by Y-sensei. I was quite please when everything went as far as I could tell, well. There was minimal discomfort when I shot. And it felt like I was using my elbow and arm to draw not my hand. I was pleased. I did a full Tai Hai for the first four shots. Just to get that practice in as well. Time is getting closer. I did notice that my legs are a lot stronger when not having peddled for 1.5 hrs to class before doing Tai Hai. My shots were off, I do not recall but I think I only hit one of of four. Not disappointed at all. With the major change on my draw, angle, Tenouchi, not to hit is more expected than to hit. Overall I was pleased with the practice. I got there just as the Sensei were leaving and left just before they came back. So I received no correction from them. Which for me this day was fine. I just wanted to practice on my own and test myself. My next part was a train ride to Kobe so hour and a half away. I was off to visit a person I had met on line. He is an acupuncturist, martial artist. He sounded like an interesting person. As I needed to be in Kobe that evening I figured it was a good chance to met. He picked me up at the train station near by his place. His shop is a cafe and with treatment clinic in the rear. A nice small setup. We his mother served us tea with Japanese sweets. I believe mine was something Sakura as it was pink and it is that season. It was good. We talked about Martial arts, healing, philosophy, how all things are connected and the like. It was a nice visit. I found out later from speaking with his mother, who I thought was a very cool lady, that an of Uncle of his is a Kyudo Sensei some place south of Osaka. Next stop the big event. 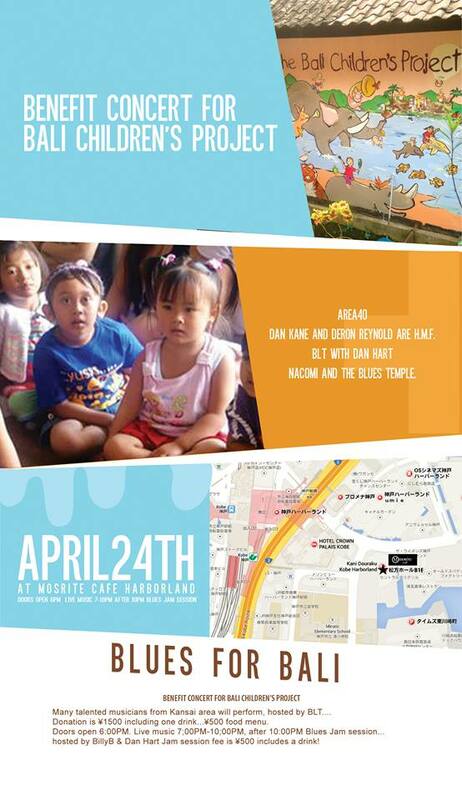 I have been invited to join in a benefit music Jam concert next month to raise money for a school for kids in Bali. The person putting on this event is from Ca near to where we lived. He invited me out to try the sample menu for the event. He is also a vegetarian and had planned some Cal-Mex foods. There was to be a gathering of people involved in the show, food drinks, chatting, etc. I was all for it. I do not get out much and to meet some other music peeps would be fun. The place I was at with the acupuncturist was nearby and he gave me a lift to the meeting point. Nice! I was one of the first to arrive and slowly the other came in. I believe in total about a dozen people. Most of which were “Gaijin” so the talk was in English for the most part. I could turn off my translator brain app. It was fun. Everyone was pleasant had a good time and the food was great. As well as the choices of wines and etc that people brought in to share. I was feeling no pain as a walked my way to the train station and worked on focusing my brain to the task of getting home. I had it planned well that I would catch the next to the last train, just in case I messed up somewhere. However that did not happen and I had a easy, although a bit complex ride home. It was the end of a good day when I arrived home at 12:30. I had my Japanese class the next day so I did not stay up late and went to sleep right away once in the bed. Finally finally it is real Spring here, flowers are popping up everywhere. The Sakura has started. It is not strong in this area yet, but I have noticed a few spots. We have a large tree I happened upon in our hood. It is amaZing. It sets alone on thr edge of a farmland and a housing development. I was taken with it enough to grab some photos. While i was there others also stopped for pictures. LZ who is not really into the Sakura thing also saw the tree and decided to visit. Whilst she was there the land owner was as well, and he gave her the story on this tree. It has been there some forty years. 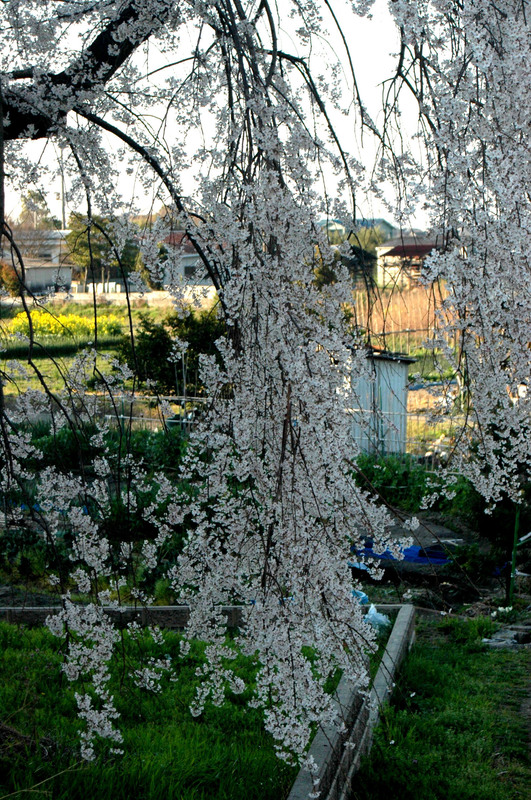 There are not a lot of Sakura in this area and this kind is unusual. Many people do not like this kind on their property as the branches and flowers hang. They feel the luck runs into the ground because of that. 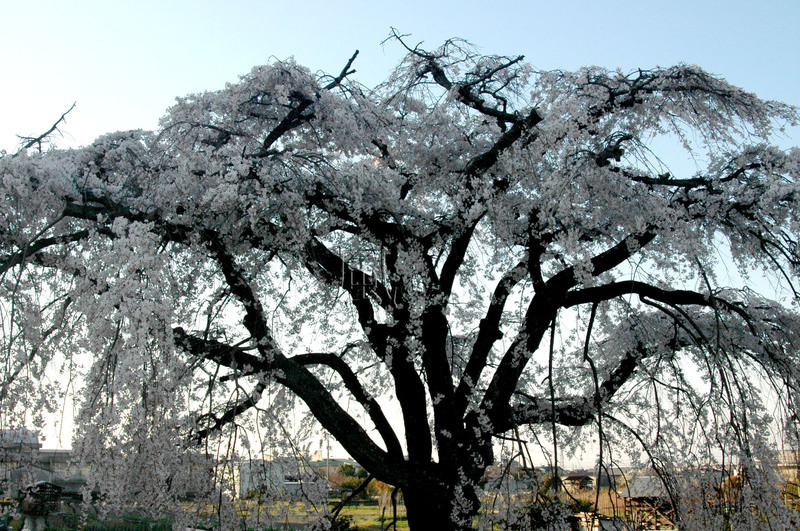 I did not know Japanese are as superstitious as Chinese.The hanging ness of this tree gives it that extra of the tree to me gives it extra beauty..When standing under the branches there is an amazing sense of chi and peace there. The dark branches, the light pink almost white flowers. It is good that I got pictures when I did and that LZ also went to view when she did. She was told it is in full bloom now, where other trees are just starting. 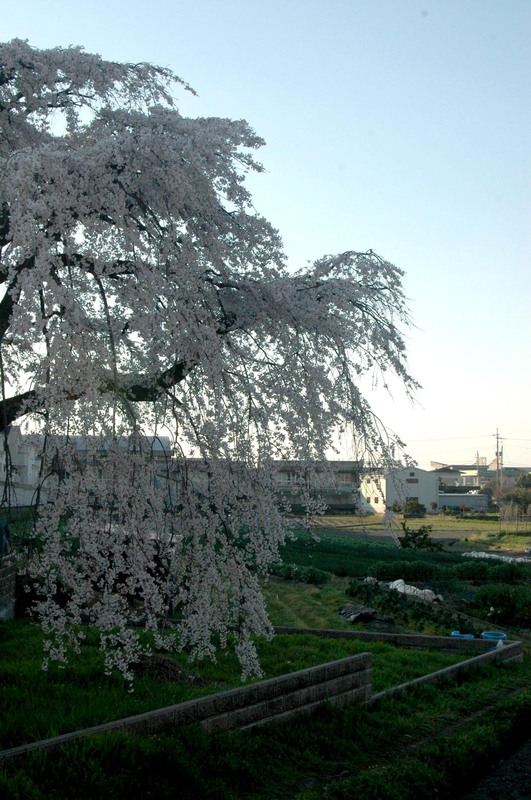 Today is a heavy rain, the flowers maybe gone by now, such is the way with the Sakura. Like life, it can be beautiful, it is also delicate. Here today gone tomorrow. Monday was scheduled to be a busy day-n-the life. We were up and out early. First stop the hospital. I needed some second tests to double check a couple of things, get some new meds and have form filled out for my Japanese Boat Captain lIc. Things went smooth in and out in a short amount of time, mostly painless bit for the needle to give up some blood. I hate that. Next lunch and my Chan class. We headed to the, mall which is right across the street from the hospital very convenient and checked in with the HQ for the community center. We briefly went over a schedule for the class and the days off I needed to take the sailing Lic class and also to do the delivery run from Okinawa. Then lunch. I kept it simple with just a fish sandwich and a Italian yogurt. I wanted to go to my favorite all you can eat. Side dish place, but did not want to fill up before the Meditation class. We went back to the classroom after lunch. LZ had opted to stay and translate for the opening class to help people feel more comfortable. There were two people scheduled, one cancelled , another last min joined, then the cancelled one showed up. So there were three people plus LZ and myself. Unlike the last first class this one was a paid sample. These people seem really interested. They had questions and interacted. The class went well. I said basics in Japanese and LZ filled in the details. A full schedule was not set as I needed to check on when I was going to be out of town , however it seems like this time the class will be a go with at least one or two people joining for the full session. Two of the people which came were new to meditation the other had done it before. We’ll see soon enough if the class will fly this time. Next stop the eye doctor. LZ wanted to check her prescription, and I wanted just. Basic check out as I was having some weirdness feeling in one eye. My eyes check out fine for vision. No glasses needed. With my age there is some normal stuff happening, I need to take more breaks from the computer and was given some moisture drops. Otherwise I am good to go. We left for home after that and a little food sampling I did around the mall displays whilst LZ check with another eye shop for some frames. On the way home it was suggested we go by the acupuncturist near the house. We filled out the forms answered questions, then waited. When it was my turned i got hooked up to a machine that was kind of like Chinese suction cups, plus electrodes, then some more questions and a massage, then some acupuncture needles. What was different was they where just stuck in then taken out. In the Chinese style they stay in for a while. Next I was taped and told to leave it on for three days. All of that cost me $9.00 with insurance taking most of the burden. Nice nice nice! The big question though did it work. 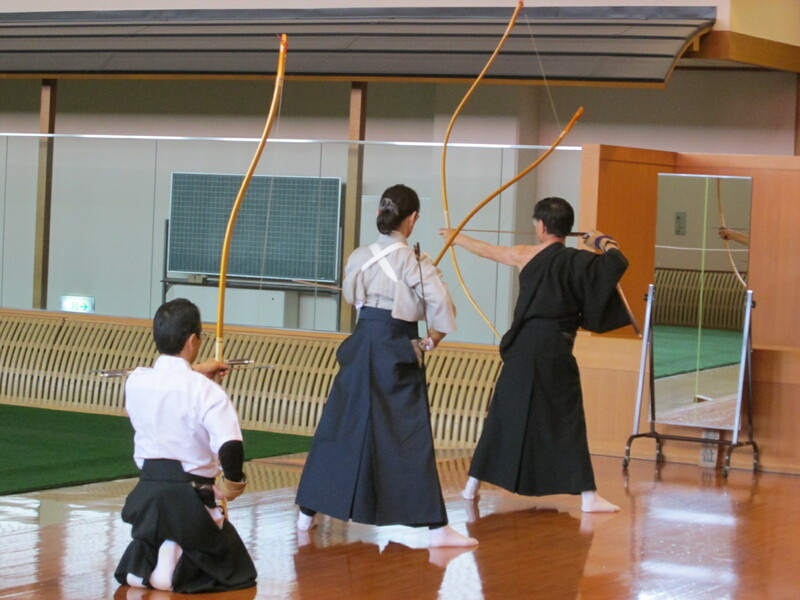 It is now several days later I went to Kyudo after a couple of days rest, which was not suggested by the doc. just by me. Anyway yes, I did feel less pain and more movement. It was worth the visit, I will go back for another treatment. Which will cost me less since I have had the first visit already! Overall, I am good to go. Excellent because things are starting to get busy! Life is change, a year ago we were in Ensenada, Mexico with the plan to come to Osaka. 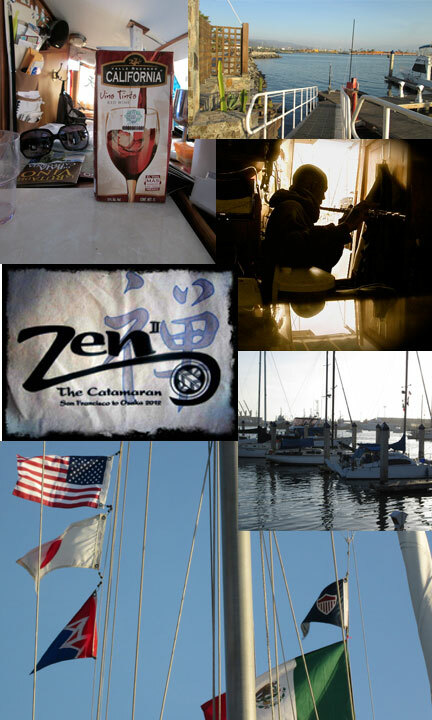 I came across some pictures then stored on the laptop we had on the Ill fated Zen II. Kind of sad to look back on that, but things worked out, for the best. You can not control life, you can only roll with it. This is a mixed bag post, some babble, I will be jumping around a bit. I happen to be checking out my post and saw with a surprise that on the last post there were some folks who checked liked. Shocking! I do not know where they came from but thanks. I am surprised when I find people really do read this blog. What I find really interesting is the post that people liked on, is about Kyudo training, not about Japan in generally. Go figure. I do not get out to a lot of other blogs often but when I do I try to at least leave some mark I was there, a small comment, a click of the like button. It is a small gesture of appreciation to those who share their life. I have a list of followers I need to update. I have friends who I follow, support, etc, that do not read my blog. Even family, i share this with on Google plus, zip from them. It is ok, as a Life journal it is interesting for me to look back and see where I was, a year, 2 , 3 ago. My cousin thinks I should write a book. It is kind of a plan. Even though I do not see much interest in it. Not like Loco in Yokohama a real writer, and blogger, who I support that has I believe never visited this site…but he does give me a link, after I said something…it is ok just saying. He is a good writer, check out his book. I am just talking to myself mostly here and a few others. Anyway, thanks for the likes those who did and the new followers. Looks like WaterWorld will be on-line for me sooner than I thought. Yoh Sensei of Aoki Yachts wants me to go to Okinawa and bring back a boat to Osaka with a small crew. How cool is that? I wanted to go to Okinawa! Now I get to do that and get paid, very cool! It is suppose to be about a 7-8 day trip. Making 2-3 stops. I was told once I get my Captains lic here I will have other work such as that, delivering boats and teaching for Aoki Yachts. Sweet! A decent income and an active part of society here. It will be good. Life is shaping up. I am doing my first Chan/Zen class this Monday, with no Backup translation from LZ. It will be a challange, but I am pretty sure I can pull it off. At least for the trial class. Then we’ll see what is up after that, if anyone signs up to continue the class or just taking the sample. The nice thing this time around is the sample is a paid sample, not just a free sample so anyone taking it is pretty serious about doing it. So can I make the sale is the question. Still nothing as far as interest in the Kung Fu class, that is a dissapointment. Still the meditation class did not have anyone until just a couple of days before hand. So no telling what the week will bring. Still I believe it is something I will need to develop on my own. I am off this week to Kobe it is a two part trip. 1st part is to meet with a person I have friended with on Facebook. He is an Acupuncturist. I had spoken with him about treatment for my shoulder but that did not work out. Since I had to go to Kobe on Music business this week I figured I would stop and talk with him. He is also a Martial artist and a Karate Sensei. He does some Qi Gong as part of his healing practice and personal training. I think he has done some Hsing Yi. It will be interesting to speak with him. Even though he says his English is not good. I think it is better than he admits. Perhaps he would be interested in a workshop there at his center, Kobe is kind of far but a 1-2 day seminar is doable, if there is an interest. Part two is a visit to a Cal homie. He is the guy putting on the ” Blues for Bali” concert/jam in Kobe next month. He is having a meeting and trail menu gathering for those of us involved with the event. He is a veggie so for me perfect. There will be some meat but mostly veggie fair. Awww Yeah! It will be a good chance to meet a few musicians and lay some ground work for the after concert open Jam . It should be fun. I have been offered a crash spot after the Jam next month if things get too active and I miss the last train home. Cool! Because as it stands I can sit in for one set then I have to head out o catch the train. The second part of the show does not start until 10:00m which means more like 10:30 or later most likely. As spring is starting to show it’s face around Osaka, it is also opening it’s eyes in my garden. I am seeing some flower buds on a plant. Also looking like some budding is happening on my maples. Very cool, the bamboos are also starting some new growth. The new plants in the recycled pallet garden and the vertical bottle garden are perking up. I am trying something new with weed control around the yard in unwanted growth areas. Salt, rather than chemicals or constant weed pulling. I am using salt to make certain area undesirable for growth. Like in-between the path stones and the like. So far it looks promising. I found some really cheap aquarium salt at the local market. about $1.40 for something like 2 lbs more or less. My friend from the hood, has been dropping off, fresh veggies from her garden. Nice nice, nice, nice. I also have been starting to catch up on outside projects like our house plate. Many houses in old hoods have the same number. So everyone has their name on a plate. There is a spot for it , built into the wall or someplace. They can be expensive to have made. I carved this one from some wood I found. Painted it, and sprayed it with lacquer. It will do for now until I find a better wood for carving. This one was not a hard wood, so easy to split. Anyway it saved us a couple hundred dollars. Several hundred thousand yen. A step is a step, sometimes a step back is as good as a step forward. Perhaps even better at times, so one can reflect, correct and like an arrow shoot forward. Same as in “Sometimes when you lose, you win”… Todays Zen thoughts. Well my first wrongness was not so wrong, but what I thought was right was wronger than my closer to right, wrong, but still wrong, wrongness. In short I went to far. Ok, so I need to find the middle way. I had the chance to work with Yamashita Sensei again today. I am going to start making a effort to attend Sat classes. It seems like his schedule is back to where he is there on Sat. again. He was not for a while. I feel a real connection with him, maybe because of the introduction from Nogami Sensei we have a Sniq. Maybe it is just him and me, anyway, I like him also the Kaicho, both make a point to help me. With them even though they do not speak English for the most part I get what they are saying. Well I mostly kind of get what everyone who helps me is saying for that matter. Ok, so I digress. Y. Sensei moved my arm through the path it is suppose to travel, thereby giving me a better sense of what I am suppose to do. He also checked my Yumi strength and said it is good even with a weak shoulder, lighter would not be good. I just need to draw proper. Anywho I have a better idea now, just doing it with a Yumi is the challenge. He did give me a correction on my right hand which I can make stick. I was losing my Jumonji on my draw. I was thinking I needed to keep my whole arm in this line , but it is my thumb and the string that need the focus. No tension in my arm , just enough in the wrist to maintain the Jumonji, but not extend the tension into the hand, and arm. Keep the alignment let the glove and alignment hold the string not my hand power Maybe poor wording, but to non-Kyudo readers it does not matter, and to Kyudo readers, you already know. Anyway pull with the elbow out and down, my hand should travel along my eyebrow level. Once elbow and arms level then pull outward with elbow. Pull with the right elbow, push with the left. Stay centered, expand from the center, open like a ballon. This is the combined lessons of the Kacho and Y. Sensei. Advance readers know this, this is repeated here for me! Written to mind program myself. Still to “understand is easy, to do is hard” . Most of my time in class today was spent on the Makiwara and “air” shooting and drawing. I did do the mato for four shoots. All misses of course. Making major changes in form always changes the end travel of the Ya. Sometimes for better sometimes for worse. Depending on your perspective. The end of all this just confirms I still have a ways to go. Even with the half step back I took a bigger step forward in understanding. Now to change that understanding from formless to form. When an archer is shooting for nothing he has all his skill. If he shoots for a brass buckle he is already nervous. – he is out of his mind! Somedays you are the bug. I went to Kyudo today. With that said you already know where this is going, right?! It was a good ride over. These days I take advantage of the time in traffic and biking to sing out loud. With the upcoming show in April I have been asked to sing. So not only do I need to get my finger chops in shape , but my vocal chops as well. The little bit of singing I did with the rock group really let me know I need get my vocal cords some exercise as well as my fingers. So I can sing on the road whilst biking without feeling to self conscious about the folks in the hood hearing me. It is said the world is our Dojo. In this case for vocal kung fu. I arrive at the Kyudojo. The Kaicho is there with several of the regulars I know and some who I do not. After today I figured out I am not the newest kid on the block. More so after seeing the surprise on one guy’s face when everyone knew my name. I spoke to him in the hall earlier, he was kind of distant with a reply, none in fact, maybe he did not hear me. Again nothing to do with the title, just a little written mind side trip. Ok , yeah, I digress. Yamashita Sensei was there, I greeted him and everyone then go about my business to practice. I change, warmup, chat a bit with Yamashita Sensei as he is making ready to leave as are some others. Anyway I do a couple of Makiwara shots to get warmed up, then start Tai Hai. I am part way through my first shot when the Kaicho returns from Lunch he watches. I get a hmm not too bad comment. Ok, so next shot, he is there, gives me some instructions, mostly the same open more, chest and shoulders. I do so beyond my normal maximum I really extreme with the chest, arch, shoulders, back. Yes he says! I think oh boy! As in good grief. Is that what it takes!? sugoi! The Kaicho again takes me to the side where the charts are, says something about image, and following while pointing at the charts, graphics. “Copy this” in my head is what I am getting. My balance point, my power point, focal point. Hmmm, ok. To understand is easy, to do is difficult. I shoot again. I hit right on the edge of the mato. Interestingly my second shoot hits the same place. Surprising me and many with the sound. At the same time something white flies off the target. I thought I had hit my first arrow and at least ripped off some feathers. However the Ya were undamaged, so the piece of white whatever it was must have been off the Mato. All that to say I kind of hit, but kind of did not, however at least I repeated my action, enough to get the same spot …almost. I see that as a win, of sorts. Ok, so I am making note to myself about what I need to correct on my Tenouchi and my Hikiwaki. I notice a guy checking me out. I saw him helping someone else earlier. I do not recall him from before, I am guessing he is advanced, even though looks young. So he see me practicing trying to figure out what I am doing wrong, or right. He come over and starts giving me advice and knows my name. I guess being the only foreigner all the seniors know of me. Anyway, It is kind of nice the way, seniors offer help and guidance. He gave me some pointers on forming tenouchi, then went through the sequence backward to ashibumi, showing how each flows from the other, and the shoulders, do not change, nor the wrist. He showed me where my elbows should be placed, in a natural roundness not over done. How my angle was off in my right hand on daisan and Hikiwaki. It was all very helpful. Even as I was packing to go he was still adding a few pointers. All of this was great, yet at the same time, returned me to the mental point of I have a long way to go before I am ready to test. Maybe not, maybe for the test at my level they are not expecting these things to be perfect. Maybe they are things need to work on to be just better overall. One thing that did become clear is I need to do something about my shoulder. The angles that everyone keeps moving me into all require my shoulder to have more movement ability. Perhaps movement is not the word. Pain free, large range of motion, may describe it better. The angles cause me to tighten up. The pain is not really bad, in training kung Fu we learn to deal with pain and keep going, but this is enough discomfort to make me tight. I consulted with an acupuncturist via LZ on the phone. Because of the time factor of this long term issue there is some inflammation, this is the cause of the tightness. Short version of this. It will take time and several treatments. LZ thinks I should see an inflammation specialist, ( and take some inflammation pills , eg: Advil) there are many in Japan she says. They treat this joint inflammation issue often. Ok, I am not big on pills, but I am to the point of willing to take some Advil before Kyudo if it will help. At least until I can get some professional help or pass the test in June. Whichever comes first. I dislike being told the same corrections over and over, pushing, thinking I am doing right , but still doing wrong. On the other hand I am clear about what I need to do now, I think. Also as I got more warmed up, I got more range motion. So I am thinking, lighter Yumi, Advil, find a joint inflammation doctor (Sekiginkai), practice mindfully, but not over doing it. * went out today and came across a clinic that does Sekiginkai and acupuncture! Two places in fact and nearby. Now it is just a matter of making an appointment in LZ’s free time so she can explain. I found some Chinese herbs, I had stashed to make some “Dit tao jow”. Which is a kung fu herbal medicine used in training , for bruises, sprains, etc, however it takes 90 days for it to “cure” before being usable. I had some on Zen II, but that is lost at sea. So much for that. Still I will I am sure need it at some point in the future for something or another or somebody. So yeah, I am feeling a bit like a bug that ran into the windshield with my Kyudo. I shall however continue onward with the phrase : knocked down seven times, stand eight! I am still making progress. The first step in fixing a problem, issue, is knowing what it is. So I am getting more clear where my changes need to be made. Another thing I worked on the last few times is posture, being more upright. This is something that the Sensei in Cal I sent the video to mentioned. I also noticed when I watched it, I did not seem fully upright. I think it has something to do with trying in my mind to remain humble. I can correct my posture. I can be more upright. I pushed myself taller physically. I have to keep in mind that it is not so much pushing myself up, but suspending my self from heaven by the top of my head. Very very much like any posture in Tai Chi. Head in heaven, feet on the ground. It is not from pride standing tall, but realizing our/my connection with heaven, while one’s feet are grounded. Suspended between heaven and earth, this was a point given to me before by this Sensei and again repeated by a student of his and friend of mine, another Zen follower. It is these beyond target hitting, and dan goals, these ideas, philosophies, ideals that take Kyudo for me to that other place, beyond marital training, beyond another physical art, beyond form. Like Zen, like sailing, like KungFu, like life it is form and formless. However, I maybe just weird like that. Spring is almost here, ahhhh. I am so ready to say good-bye to winter. Overall it has not been bad, overall. Only a little short termed snow just mostly cold. I hate cold, but I have been colder. With the coming of spring things are happening. I have another possible meditation class starting, and another possible Kung Fu class. The end of March will tell how that is going to work. In truth I do not have much of a feel it will work at this location. However I will see. I have heard it said Japanese start new things in April. Also in April I have the Japanese sailing class to take. It is a 4 day course, with a test at the end. I have seen some of the questions. It is not too bad. The US Coast guard Captain lic test was harder, however I will need to put some time on studying the navigation calculations again to figure out the math problems. I hate math problems! Oh well, I know I can do it, because I have before. So ganbaru! Once that is done. I can partake of Japan’s WaterWorld as the opportunity arises. Speaking of WaterWorld, I heard that the Sencho had his autopilot die on him 6 days out. I am not surprise, if he used it the way he did when I was with him. That and all that I have read say it is not meant to do OceanCrossing. However I will most likely be blamed for the equipment failure. Oh well. So the day of the final Japanese Lic test, that night I am off to Kobe to sit in with a informal musical gathering as part of a benefit for a school in Bali. I am looking forward to that, big time. I do not expect much to come out of it. It will be fun doing some living playing and meeting some new musicians. Hopefully some connection for a band come about from this, but if not, it will still be fun being a active musician again. Even now rehearsing, practicing, getting my “chops” and finger calluses is fun. Getting all my equipment activated, nice to get my groove on. Then there is June, the Kyudo test. That is always in my head. Perhaps I should not put so much thought into it. Nothing will really change, I will still have to train, and develop after the test, same as before, but that sense of accomplishment, of completion will give my spirit a big boast after the first failure. More so having done it here in Japan. It is said the standards are the same here and in the states, but I do not think so. Just from the amount of details I am given to work on. I feel if I was in the states many would be left until after I was at the next level. That is just my opinion though. One thing I noticed the other day is that some of the more advance people get the same points told to them they need to correct, adjust as I am being told. At least it seems like it. Since I am not clear on the Japanese I am guessing from watching. Oh, I forgot in May I am going to the big Tai Kai in Kyoto. At least I want to. If I have a job at that time it will have to be the priority. To far ahead to tell right now. Only thing in stone is the June test. After that in July will be the 1yr anniversary of being here. Hopefully we will have all we had hoped for in place as reason for a big celebration. Even if not, we have much to be grateful for as we stand. LZ is working, p/t going into full time, we have a comfortable home, with a garden, I am getting the training I wanted for Kyudo, I have a job upcoming, possible band(s), with the health issues of some family members, it is fortunate for us to be here to help. If we had still be sailing when some of the things with the family went down. It would have been a big problem. So in a strange way, the boat lost was a good thing. It certainly opened my eyes to those who are true friends. Within sadness there is joy. Another thing that was started was a Japanese class in a nearby town. Basically free class. There is a volunteer who helps design a custom help, tutor session for you, of sorts. I was suppose to go to a potluck gathering with the group last week, however bummer for me , I got the dates messed-up and went to Kyudo. I received a call from L.Z. Saying the group was waiting for me! Ehhhhhhh! There is some mix up between this week and next week. Next week in Japanese means this up coming week(end), in English meaning not this one coming, but the following. Or maybe I am just backwards. Anyway. I was looking forward to the potluck, but missed out. I shown pictures this Friday of what was made and served it looked good, Oishisou! Bummer I missed out! The ladies in the class are all very nice. I am the only guy. Everyone’s Japanese is so much better than mine, so it is constance learning for me to listen and understand. There was an informal tea and cake gathering at the class this week. One of the ladies made some pudding and brought it in to share. We sat and chatted. Not much of a formal lesson but I did get to practice my listening skills. So everything is a lesson. Just like in Kung Fu everything is training, the world is our Dojo. This was my first Sunday going to Kishiwada to practice. I have been there on Sat. Before with a vague hope of seeing Yamashita Sensei, my contact from Nogami Sensei. I have seen him a couple of times but never had a chance to practice with him. Today I arrived at Kishiwada and as it turns out everyone was leaving. It seemed like I would have the dojo to myself. Totally cool. I wanted to do some video of my form for a Sensei back in the states to review. Someone who I have great respect in his advice. As I made ready to practice someone else showed up. So I was not alone, it was just her and myself. I set about practice and filming. I got the film that I wanted done, whilst the other person was still preparing. I was making ready for another round of shooting when another person arrived. I turned and greeting him, as I turn back it registered that he looked familiar, it was Yamashita Sensei. I keep warming up more and we chatted a bit. He said he also rode his bike to the Dojo. I think I must be kind of famous for that as seems like everyone knows. He prepared to shoot and also helped the other person that was there. She was of some rank , but I am not sure what I am guessing at least Yondan, perhaps more likely Godan. Another person came in. The three of them prepared to practice. In the mean time I went and shot. After I finished, Yamashita Sensei was there and said good job. Sugoi. I was shocked. Usually I have been getting adjust this and that from the Senseis, this was the first good job. I felt like I do have a chance at testing in june after that. I have been putting all the changes given into play so I guess it has paying off. A little later he said relax my shoulders more. That is an on-going challenge for me. But it is improving. The the big players shot. I watch, even filmed a bit to watch later. Afterward I go gather the ya. When I return Yamashita Sensei says something about shooting. Which in thought was, are you, will you shoot more, again? I say yes a little. Turns out it was do Tai Hai with us. It registered when he said I would be number two in line. Gulp! Ok, I am shooting with the big dogs. It is good training. I like the #2 spot. It is my favorite, so Yosh! I fell in line and we went out on the floor. I did ok, I do not recall if I hit, I think I did one. I think my hit rate for the day was fifty percent. An improvement. So after the Tai Hai was over I got a correction. I Had reach for the string too soon. I should have held my position until after his Hanare then reached lock in my glove. Ok, not bad, I breathed in relief. He showed me a poster on the wall With the descriptions of who does what at what time. It of course is in Japanese, so I will need to get it translated. Anyway it was helpful. A Sempai had told me there is a Tai Hai training class a couple of times a month, I can see I should go at least a couple of time before testing, to make sure I am compliant with the norm. It is a common mistake to add the arm power to the Yumi power says Sensei. It should only be the Yumi power, and the body expands like a balloon to draw. I watched him, I said ohhh, your base is like a tree root, a Bamboo deep, expanded, your upper body is the branches relaxed, flexible. He said yes! it clicked, One of my favorite saying, is “be the Bamboo in the storm” it is valid even in Kyudo, without a storm just in the act of Shooting. I think today was my best lesson. Still “Understanding is easy, doing is difficult”. It will take effort to bring it all together, but today I feel like I have a real chance of a break through to the next level. Yamashita sensei asked me what days I generally come in on. I told him and he said that Watashi Sensei who is usually there on Thursdays when I go, he very good and helpful. I have found that everyone I have encountered there is helpful. Again I am grateful to Nogami Sensei for giving me the introduction to Yamashita Sensei. He is very knowledgeable and helpful. He is the head instructor at the Osaka Castle KyudoJo. He also travels a lot out of the country giving seminars. Like to New Zealand. This is a big deal as the Federation does not send light weights out to these things. I am fortunate to have him as another guide. Yokatta! As spring is just around the corner and down the street, I have been giving some thought to my gardening projects for the spring. Mostly what herb and veggies I can produce. I had tried the recycled plastic bottles vertical growers. I have one stack that works pretty well. Not a lot of production being it was started late in the season and is just one stack. I came across another idea that looked good. Pallet planting as a vertical grower. Discarded wood pallets are fairly easy to get. In the states they are just thrown away. Here in Japan not so much. However I have seen shops ,etc with them stacked in the yard. I took a chance with a local company just across from a market we shop at to ask them about getting one. I have had my eye on this place for a while as it was on my list to check put for a pallet for a Kyudo platform, before I found one in a store very cheap. Anyway, I pumped up my courage and went to this company to ask about purchasing one off their stack. The guy spoke with was nice. Of course everyone in the office was shocked to see me, however they were all pleasant and friendly. The person I spoke with said he would have to ask the president and took my number to call me. Later that day he did, saying I could pickup whenever. The next day I went back. Again everyone was nice, even a bit more so. The guy let me pick which one I wanted and wanted to give me more than one. I said thank you but just one for now. I asked how much he said no charge. His only other surprise was that I was going to carry it by hand home. I told him no worries it was not that far. I gave him my business card, thanked him and left. Whilst carrying the pallet to the house, the Oba-chan saw me. We spoke and she asked about what it was I had. I said something in English and kept walking. She was going the other way to put trash out for pickup. As I went into my yard I could hear her coming. I quickly put down the pallet and went inside. I looked out the window, she was looking in the yard, then walking back and forth in front. Wheeww i thought . Missed that! I still stayed inside for a while. A short time later I hear a loud banging on the door and her even louder voice calling me. Ok, some quick thinking. I knew she was just being nosey. I found my cell phone and answered the door with it to my ear. She had some veggies as a “gift” I smile and said sumimasen! Showed her the phone and said it was my work on the phone I could not talk I was busy! Sumemasen! She said ohhh, and left. Ahhhh, big breath of relief. She is not bad just I did not want to hear a lot of something I did not understand or could answer. Beside it being none of her business and I am sure she would give me her opinion. So I dodged that bullet as they say. Today hunted and gathered the items I needed to make ready to bring the pallet into use. Items from the dollar store, It cost me about $5.00 in materials to get three levels setup. My other neighbor heard me hammering and asked what I was making. She came over I showed her, she smiled said sugoi and left. Short, and simple I like her. She had given me some herb plant just a few days again. After about an hour of work, the Zen Garden recycled herb and veggie pallet planter was ready to go. I put in the herb from my neighbor and some rosemary that needed planting, also planted some garlic clover. The other seeds I will wait until more into March before planting. Bell peppers, cayenne, basil, tomatoes, kale. I will pickup some parsley, and a few other herbs and greens, from the local nursery which have already been started. I am hoping to have a good crop this year. Phase I is complete. Not only with herb and veggies, Kyudo, sailing, and music…Japan life is full on there should be some good harvest from the winter effort…Yosh! After two weeks off from practice I was ready to have at it. It was not a full two weeks off as I did put in a few shots at the Bamboo Mantis dojo. I found that the two weeks of rest really helped my shoulder. Another thing, just before I stopped to go to Tahiti I figured out the pulling with the body thing. I continued that when I shot again this week, with little to no pain before, during or after the draw. So perhaps a large part of the problem has been with my improper draw. Time will tell. Time is now to get back into more serious practice with June testing approaching. It still seems a like a ways off, but time waits for no one, and quickly slips away. ( both song titles, a bit of trivia, for the four or five readers of this blog). I went to the dojo this week, a sensei had me note my ya was not level in Hanari, and my grip was too loose in Zansen. This cause cause the bottom of my Yumi to be at a inappropriate angle after my shot. So the work on Tenouchi continues. I recall hearing in my beginner days the Tenouchi like the basics of TaiChi takes 10 years to get. It is seeming that way. My sempai at the dojo worked with me to understand what was being told to me. He speaks a little , very little English, but it is helpful. My response afterward, Naruhodo yasashi, surusimasu musugashi. He laughed. My Japanese is improving, not correct, but understandable of sorts. Well, my targeting is still so so, I am still at about one hit out of four. Which with still making a mass of adjustments is to be expected. It occurred to me I am at what we call “the plateau” in Kung Fu training. It is that place where you practice and practice but it does not seem like you are getting anywhere, then suddenly you have a break through and you jump to the next level. Unlike in the beginning stages where one made steady noticeable progress. Before I left for Tahiti, I was asked to be in a photo, for the new webpage. The other day i was reminded of it and asked if I saw it. I had forgotten, therefore had not seen. I was then shown the site, with me the Token Gaijin on it. I did not think it was a great shot, but it was selected from several so they must have thought it was ok, and would not cause the school to lose face, so I was /am fine with it. I also now have the dojo event schedule…yosh!